On June 1st, BELTA (the teaching association of which I am president) held its first ever national conference. We were delighted with how it went, the speakers were fantastic and the delegates were enthusiastic participants. I’m already looking forward to next year. 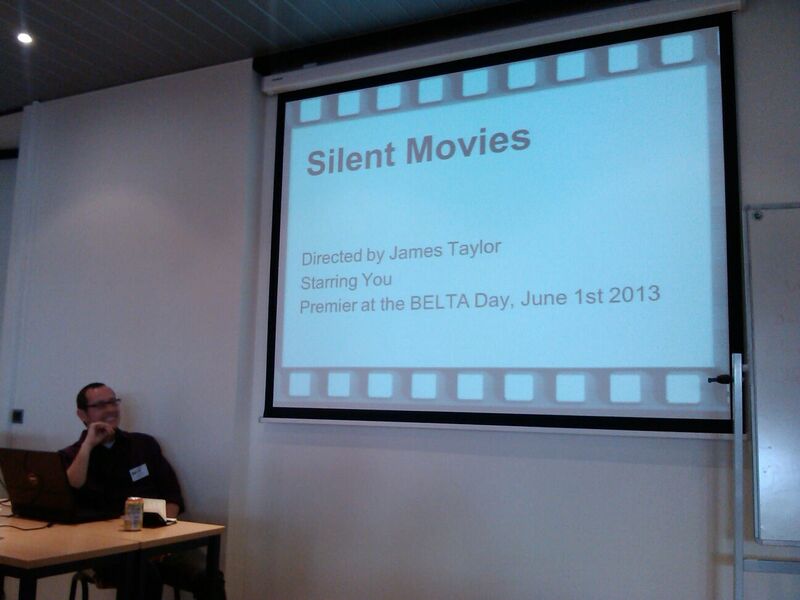 On the day, I hosted a workshop based on the Silent Movies series of posts on my website. I showed four movies to the participants and asked them to share their ideas in groups for how they would use each of the films. I didn’t set any parameters, they were free to think of any idea they thought was interesting or useful. After each film they discussed their ideas and made some notes. They then nominated their favourite idea from the discussion and shared it with everyone. I collected their notes in order to share some of their ideas here on the blog. Note: All of these films have been featured in Silent Movies posts here on the blog before, but never with these ideas. It’s time for the second part of my silent movies round up, my favourite short films with little or no dialogue. To read why I like using these films in my lessons, have a look at part one here. I love to use short films in my classes. They add colour and variety to the lesson in a way that I’ve found students really enjoy. Furthermore, due to their brevity, you get the opportunity to share an entire narrative with students in a very quick way that is difficult to achieve with other media.